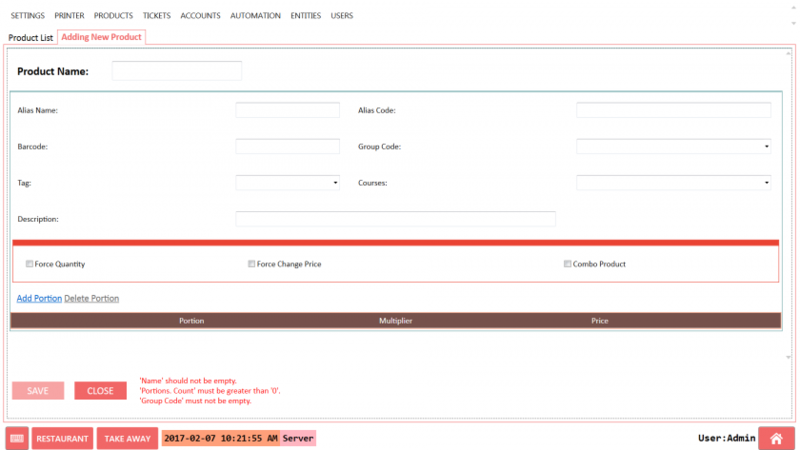 This page explains how to create a Product in DinePlan. For example 'SHANGHAI CHICKEN' which has three Portions. STEP 1: Go to BACKOFFICE -> PRODUCT -> PRODUCT LIST and Click Add Product from the Left side. STEP 2: Here is the screen to add the product. BARCODE Barcode of the Product if any. GROUP CODE This is nothing but the Category of the Product. COURSE Mainly used in FINE-DINE restaurant to Mention the course of the Product. FORCE QUANTITY When it is true, it will be forced to ask the quanity in the POS while doing KeyBoard Billing. FORCE CHANGE PRICE When it is true, it will be forced to ask the price in the POS while doing KeyBoard Billing. This product will be treated as COMBO PRODUCT. 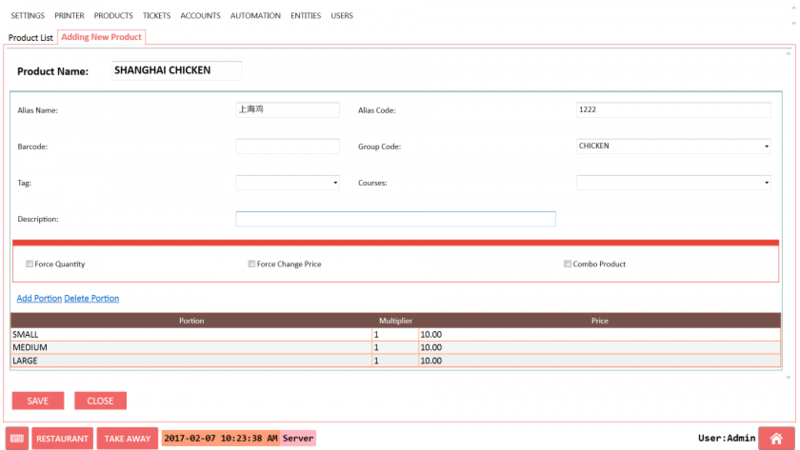 To show the product in the POS, it should be added to the Menu.